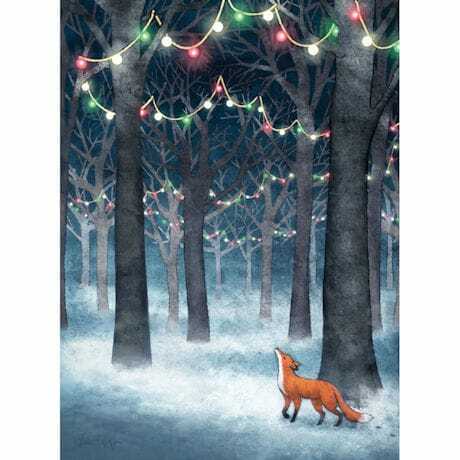 A handsome fox wanders through a snowy forest, guided by strands of sparkling lights strung through the branches overhead. Our peaceful Lights in the Forest Holiday Cards, which are blank inside to provide plenty of room for a thoughtful note, feature Vivian Hansen's luminous illustration. Set of a dozen 4¼"x5½" cards, plus envelopes.